Introducing a new time-saving premier service without any price premium. 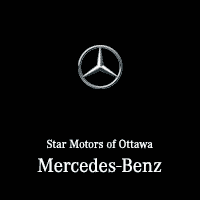 Available only at Star Motors of Ottawa Mercedes-Benz. Effective immediately, Star Motors of Ottawa is offering all customers Premier Express Service at no additional cost. When you book your scheduled Service A or B for your Mercedes-Benz with us and ask for the Premier Express option, we have two technicians working on your vehicle at once in a dedicated Premier Express lane, so it is completed in half the time (1 hour approx.)! With Star Premier Express, you eliminate the need for drop-off and pick-up. No need to plan your schedule around a workshop visit. Rest assured, you receive the same Mercedes-Benz Genuine Service from trained specialists who are dedicated to this task. The time efficiency is achieved because no other services are performed at the same time (tire changes, other repairs, etcetera). NOTE: The standard Mercedes-Benz Service A used to take up to 2 hours to complete; the standard Service B took up to 4 hours to complete. Both the new Star Premier Express Service A and B procedures are completed in approximately an hour… most within the same hour! HOW DO I GET PREMIER EXPRESS SERVICES? Drop off your vehicle in our drive thru 15 minutes ahead of your time slot. Relax, watch HD TV, enjoy a complimentary beverage like our Starbucks Coffee. Drive away within an hour (in most cases). Remember, there is no premium charge added to this premium service. * Premiere Express A and B services are extremely popular and should be scheduled well ahead of time. You must explicitly ask for Premiere Express A or B service; standard A and B services are services we offer by default. Other extra services other than A or B service (such as tire changes, regular diagnostic and repairs) must be booked in at a separate time to ensure Premiere Express Services are done in an hour.